In this new series of articles, exclusive to the Towpath Talk app, we delve into the 120-year archive of The Railway Magazine for an in-depth look at the relationship between Britain’s railways and canals. It was one of the first lines in Britain, arriving on the scene just 11 years after the dawn of the steam age… yet it never saw steam itself. 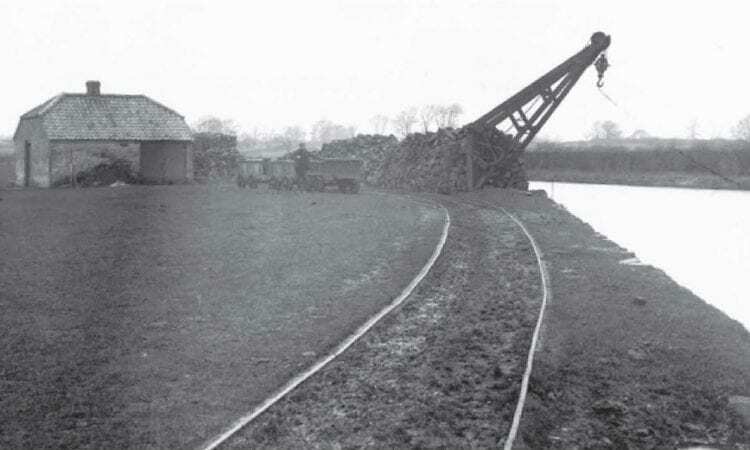 This is the story of the Duke of Rutland’s private waggon way, built to transport coal and supplies from William Jessop’s Grantham Canal, two miles to the north. IN the autumn of 1815, a two-mile private railway, worked by horse power, was opened in the Vale of Belvoir in northeast Leicestershire. Similar waggon ways were not uncommon by that date, yet, as we shall see, the Belvoir Castle Railway has an historical significance belied by its short length. This is not the first occasion on which the line has featured in the pages of The Railway Magazine. As far back as June 1938, Charles E. Lee, assistant editor of The RM and assiduous chronicler of Britain’s earliest railways, wrote the first accurate account of the BCR and dispelled a number of popular myths about it. The late Ivor Gotheridge added a little more information in September 1971 and the line was briefly mentioned in our ‘bicentenary’ souvenir edition of March 2004. Previous Post:Towpath Talk – February issue now available via the app! Next Post:February 2018 Towpath Talk out now!